A great new tool arrived in the mail yesterday – an infrared converted Pentax K10D! This is a digital SLR which has had the infrared blocking filter removed from the sensor and a 720 nm IR filter (blocking most visible light) installed in its place. I did a lot of work with my standard K10D (and still have it as a backup for the K7). It’s a competent camera with excellent anti-shake and great ergonomics. It is not as full featured as the K7, but it is fast and the missing features are not essential. I’m really impressed by how sensitive this camera is to light, which means how great the shutter speeds can be. Just an initial observation – but my impression is that the altered camera is two to three stops more sensitive than a standard camera. I will do some comparisons when we have a sunny day and stable lighting. Shooting the dragonfly reminds me of a shot that has been languishing on my hard drive for some years now. 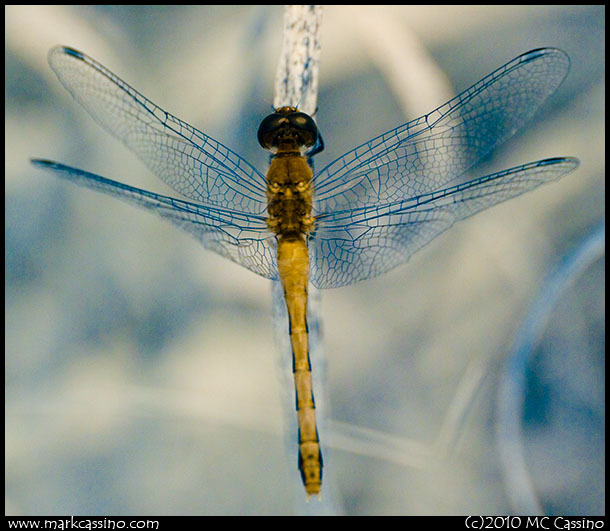 Here is a Twelve Spotted Skimmer, shot with my old *ist-D and a Hoya RM90 filter for IR work. At ISO 1600 it was a three second shot. Getting the shot was a challenge – I had to set up a tripod close to it, manually focus without the IR filter, put the filter on and shoot. Well, it came out, more of a curiosity than anything else. 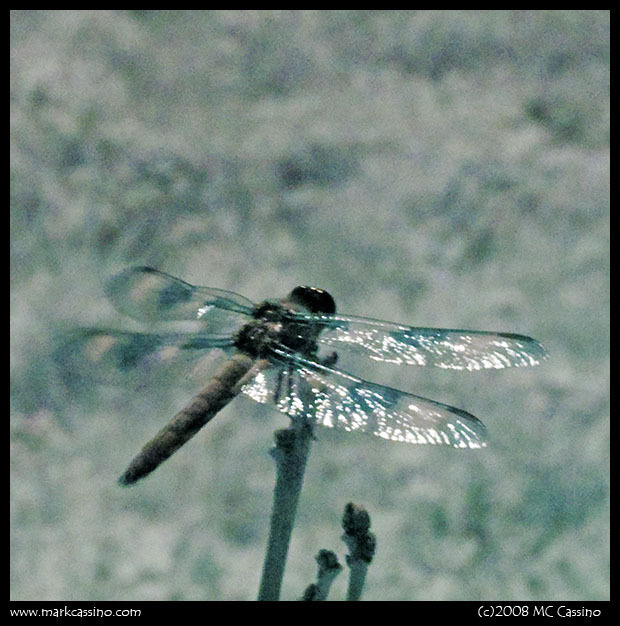 But it will no longer languish as the sole infrared dragonfly image in the vault. 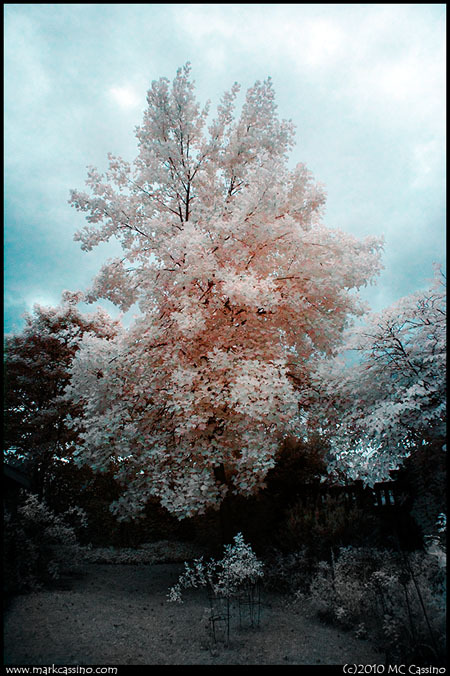 This entry was posted by mcc and is filed under Pictures Of Trees, Infrared, Digital Infrared, Dragonfly Photography, Odonata Photography. So where did you have the K-10 conversion done? ©2019 by Mark Cassino • Contact • Help • open source blog • webhosting • F.P.